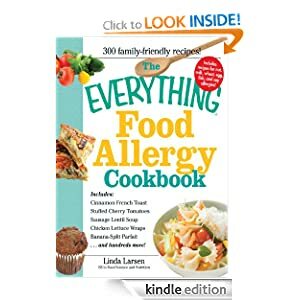 The Everything Food Allergy Cookbook helps you prepare easy-to-make meals without nuts, milk, wheat, eggs, fish or soy. The regular price of this 304-page eBook is $15.95, but for a limited time you can download The Everything Food Allergy Cookbook for FREE from Amazon. Each recipe is labeled to indicate which allergies are safe so readers can mix and match according to their family’s needs. Packed with tips and tools for reading labels and purchasing ingredients, the entire family can finally eat great tasting foods without the danger of an allergic reaction.